If there's one thing four years of watching and analyzing Mad Men has taught me, it's that businesses run on taglines. Without them, people would be questioning why Acura took it upon itself to describe man for a full minute (that MDX ad is horrible), why the Swedes bother to stack cars in their print ads, and why Volkswagen bought a full page in the newspaper only to put a small car there. This one made a big impression back in the day. Marketing departments of car companies spend many months and enormous amounts of money to develop a slogan, only to make a car that doesn't mesh with their ad campaign in the quest for greater sales volume. Usually, this happens when an automaker realizes it needs to compete in a certain market segment and turns to rebadging a competitor's product rather than developing their own. This, in effect, leads to amusing moments, especially when an ad campaign struggles to connect the new car to their existing tagline. 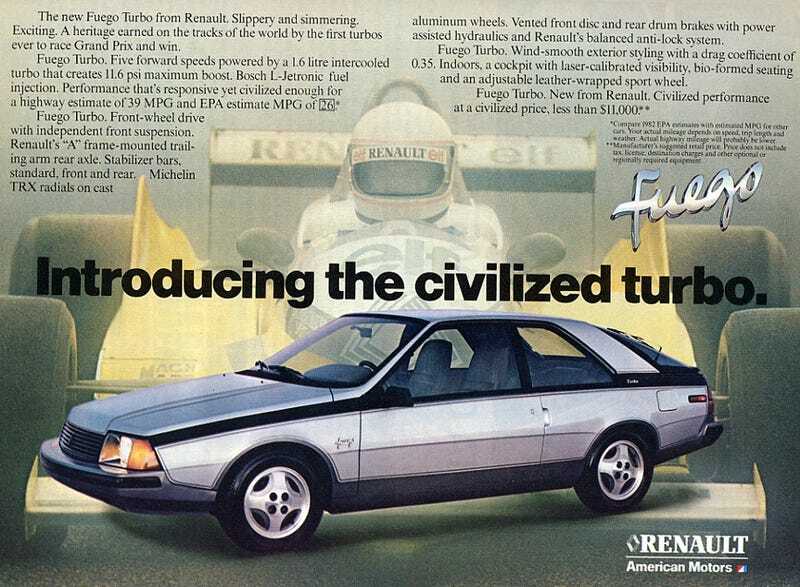 In fact, to this day I don't know how VW got away with their ad campaign for the Routan (it's both hilarious and sad at the same time), essentially a rebadged Chrysler Town and Country. Thank goodness it's gone. Tagline: There is no substitute. Unfortunately, there are. One of them gets vinyl seats on the base model while the other can seat seven. One offers a hybrid option and the other offers a 3-liter supercharged V-6. Both have daytime LEDs standard. And most importantly when you're substituting for a Porsche, they're much cheaper. They’re called the Volkswagen Touareg and the Audi Q7. And the Cayenne, Q7, and Touareg share the same 3-liter diesel engine. At this rate, VW Group is doing to their PL71 platform what GM does to the Lambda platform (Acadia, Traverse, Enclave). I actually don’t know if Porsche even uses the "There is no substitute" slogan anymore, but I’m going to assume that it is. After all, they didn’t reply to my question on Twitter. Considering how much I’ve gone after the current 5-Series, I must be on some sort of BMW blacklist by now. But steering feel makes the car and the current 5 just doesn’t have it. The 7-Series has better steering feel than the current 5-Series. The Lexus GS F-Sport has better steering feel, something I thought I'd never say five years ago. Having learned to drive on a 2002 530i, I know what a good driver's car should feel like. But the current 5-Series is the first BMW I've driven with such a disconnect between driver and car. It’s best that BMW uses a different slogan in the US because the worldwide slogan, “Sheer Driving Pleasure,” won't apply once the driver contends with iDrive to change the radio station. However, you won't find an Escalade in every country, unlike a Land Rover or Toyota Land Cruiser. Instead, the Escalade is clogging school pickup lines across America and featuring in rap/hip-hop/R&B music videos. Back in 2012, Honda decided to release an "all-new" Civic which clearly wasn't. The fallout was so bad that there was an emergency redesign by 2013. Unfortunately, the redesign was due to critics' censures rather than dreams, after the exercise in vision that was the 2006 Civic. The only dreams the current Civic fulfills are those of the money men. It shows with the derivative redesign and cheaper interior materials. You thought Raphael Orlove was hard on the Corolla, but 95 percent of buyers purchase it as an appliance. And Toyota's slogan is "Let's Go Places," a pretty good tagline for its products in my view. When the Honda ad campaign stresses dreams, innovation has to happen every generation, which didn't occur with the current Civic. Tagline: The best or nothing. Usually, I try to use US-market cars for these lists, but the Citan is notable because the word "best" clearly wasn't uttered at any point during its development. First off, know that the French-built Citan is actually a rebadged Renault Kangoo, a small van for Frenchmen who believe in hard work. Mercedes needed a small work van to sell in Europe. The Kangoo got a four-star NCAP rating back in 2008, so Mercedes thought the Citan would be fine and didn't bother crash-testing it. However, Euro NCAP decided to test the Citan anyway, and it got 3 stars, demonstrating to Mercedes that if they don't engineer and test everything, even a simple rebadge job, it will blow up spectacularly in their face. Now, the NCAP test was an unwelcome surprise to Mercedes, to whom a three-star rating is unacceptable, because presumably there's a tagline to uphold. So a recall of the side window airbags came right at launch. Such episodes, ladies and gentlemen, is why Dilbert appears in newspapers across the world. Though in the end, rather than a slogan not being followed, the lesson is probably that Franco-German partnerships don't quite work. So what other cars don't quite fit their brand's tagline? There were plenty I had to leave off. Satish Kondapavulur runs Clunkerture, named because "Clunker.com" was $82 at auction and would've taken 30% out of the balance of his Eagle Vision for LeMons fund. In between contemplating cross-country runs, he spends much of his time attempting to convince others that his MkV Jetta 2.0T Wolfsburg is indeed a sports sedan. All images courtesy respective manufacturers.